Sripad Bhakti Madhava Puri Maharaja lead a general discussion concerning Suddha Bhakti – Pure Devotion. Discussion of the difficulty in preaching to sahajiyas. The key is to look at their guru parampara to see where their conceptions have deviated. Spiritual life is a discipline. Diksha is a process of giving transcendental knowledge and removing ignorance..
Hinduism is a mixed bag of many different ideas. Thus, defending Vaisnavism requires in-depth knowledge of our guru parampara. Brahma is our first Guru. Madhava Acharya as well as Ramanuja Acharya, Vishnu Swami and Nimbarka Swami are legitimate. Sankaracharya’s purpose was to delude the atheistic Buddhists back to the Vedas. There was a discussion on Sripad Bhakti Madhava Puri Maharaja’s Sanyas name. In that discussion Sripad Puri Maharaja explained that Madhavendra Puri (also known as Madhava Puri) is the root of the Chaitanya tree. Srila Sridhar Maharaja in one of his articles explained that Madhavendra Puri is the Pope of our Sampradaya, because he is the first in our Sampradaya, who brought the love-in-separation for the youthful Krsna. Here is the recording of 28 March 2012 Satsanga. Srila Bhakti Raksak Sridhar Dev-Goswami Maharaja Speaking on Scientific Preaching and Encouraging Sripad Bhakti Madhava Puri Maharaja, Ph.D.
Divine Guidance, Science and Religion, Science of Krsna Consciousness Comments Off on Srila Bhakti Raksak Sridhar Dev-Goswami Maharaja Speaking on Scientific Preaching and Encouraging Sripad Bhakti Madhava Puri Maharaja, Ph.D.
For those with a slow connection, here is the recording only. Srila Bhakti Nirmal Acharya Maharaja speaks to the devotees. Here is the recording of 04 January 2012 satsanga. purpose of life is to serve the Lord. how to distinguish between service and non-service. how to redirect our taste for materialistic enjoyment. how to avoid the enemies of beginning practice. Here is the recording of 21 August 2011 satsanga. 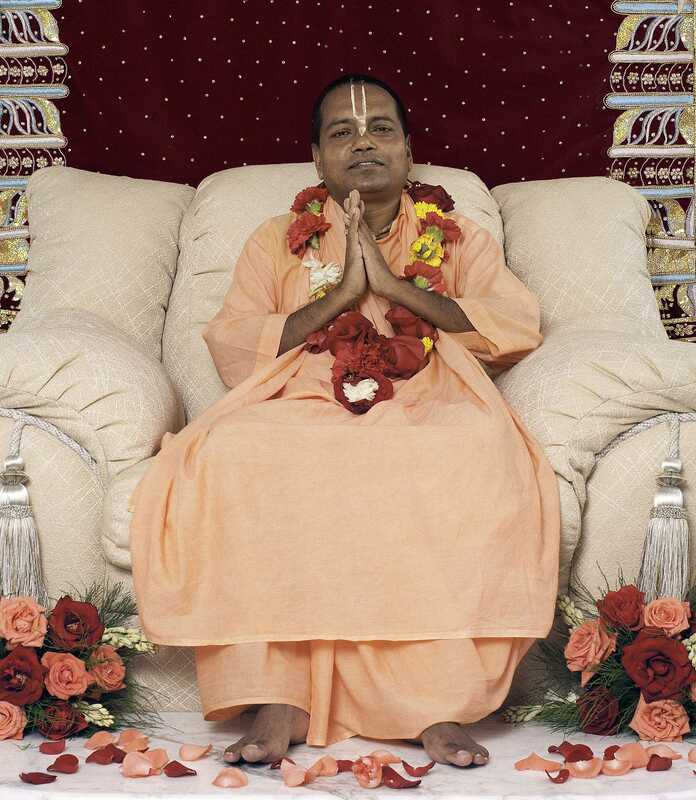 Srila Acharyadev speaks with the devotees on a wide variety of subjects. This is a first attempt so we must apologize for the sound quality. Here is the recording of 14 August 2011 satsanga.